WASHINGTON - Democrats used their newly initiated lower threshold for defeating filibusters Monday to win Senate confirmation of President Barack Obama's nomination of former top Pentagon lawyer Jeh C. Johnson to be secretary of homeland security. On a 57-37 vote, Democrats broke a GOP blockade against Johnson before the Senate minutes later confirmed him on a 78-16 vote. Until Democrats unilaterally changed the Senate's filibuster threshold on presidential nominations, it would have taken 60 votes to clear Johnson for a final vote. Anne W. Patterson, currently the U.S. ambassador to Egypt and formerly ambassador to Pakistan, also won confirmation Monday to become assistant secretary of state in charge of Near Eastern affairs. She also was confirmed 78-16, with all of the "no" votes coming from Republicans. A career diplomat, Patterson entered the State Department's foreign service in 1973. 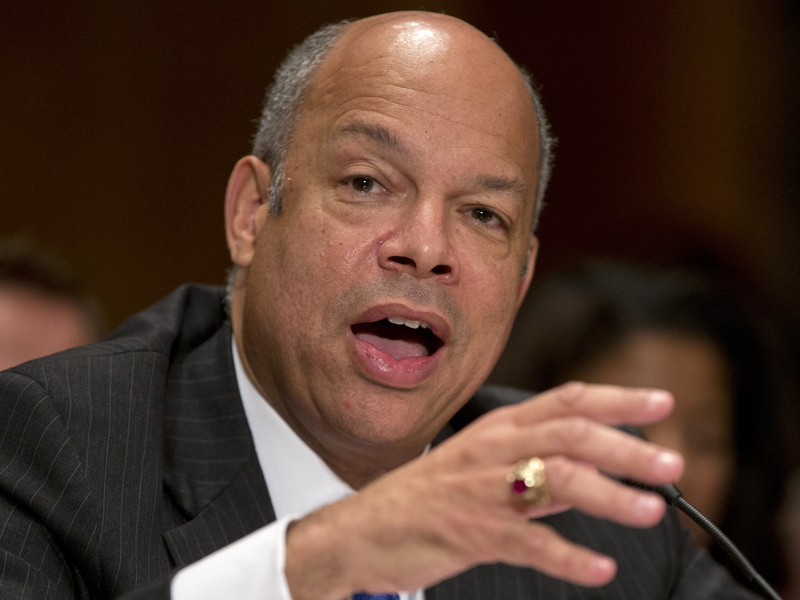 Johnson is replacing Janet Napolitano as head of the Homeland Security Department. About 40 percent of the senior leadership positions are now vacant, and Johnson said filling those posts was among his top priorities. Sen. Jeff Sessions, R-Ala., questioned Johnson's experience for heading homeland security, a department created after the Sept. 11, 2001, terrorist attacks from more than two dozen disparate agencies and now perhaps the most complex in Obama's Cabinet. "I'm not saying he's not a good man, but he's not a good choice for this," Sessions said. On Friday, Sen. John McCain, R-Ariz., said he was also troubled because Johnson did not answer all of his questions about immigration policy during his confirmation process. Johnson was not particularly well known when his nomination was announced in October. A multimillionaire lawyer, he is a longtime supporter of Obama, donating more than $33,000 to his political campaigns over the years. He has moved in and out of public service throughout his career, serving as a lawyer in the private sector as well as a two-year stint in the U.S. attorney's office in New York between 1989 and 1991 and as general counsel of the Department of the Air Force under President Bill Clinton from 1998 to 2001. He was the Defense Department's general counsel until 2012, when he returned to private practice. Obama credited Johnson for helping craft his strategies against al Qaeda terrorist groups, saying he has a "deep understanding of the threats and challenges facing the United States." He also said Johnson played an important role in overturning the ban on openly gay service members in the military. Johnson is a 1979 graduate of Morehouse College and a 1982 graduate of Columbia Law School. Senate Majority Leader Harry Reid, D-Nev., took steps Monday night toward winning confirmation for nearly a dozen other Obama nominees before the Senate adjourns for the holidays, including John Koskinen to head the Internal Revenue Service and Janet Yellen to succeed Ben Bernanke as Federal Reserve chairman.